2 mins on the clock. Christ that roughing the passer keeping Pats in the game was rough, Mahomes actually took a forearm to the head earlier and there was nothing, refs deciding games as tense as this is brutal. some of the refs decisions tonight have been woeful, and more importantly for me inconsistent. I'm working this morning, so went to bed after the first game with my alarm set for 6:20am. I wake up at 5:40am though and think to myself I'll watch the 'game in 40' on GamePass, so put it on my TV, cast from my phone. Just before half time, I think to myself to turn my alarm off, in case I don't hear it with my headphones on. 'Hey Google, cancel my alarm'. This is a command for my Home Hub, but as usual, the phone hears the command, no problem, it happens, it ignores it. For some reason though, it skipped GamePass right to the end....!?!?! Literally I'm looking at an image of Brady celebrating on my TV?!! What?!?! I grab my phone, sure enough the slider is right at the end of the line. I quickly slide it back to the middle, but too late. Wow. Thanks GamePass! How on earth that happens I don't know. Shame, as it was an amazing game, spoilt by some weird bug. Anyway, was it mp that kept telling us the Rams weren't a Superbowl team, and we all kept telling him they were? Shame that bad calls had a big influence on both games. we managed to get there and i have no idea how , our defence (and by that i mean wade phillips) has been woeful, think the the stat they put up on sky last night was we're 20th in pass defence and 14th in rushing, with the players we have we should be better than that. really feel they have to rethink things on reviews/challenges, because theres no way peyton wouldn't have thrown a flag, same with reid. if you insist on using the tech you have to do your best to make the most of it. after saying all that i still have a problem with things like the edelman one where they said he touched it then after review overturned it, it took a while (think they said something like 3-4 mins) and its supposed to be OBVIOUS proof to overturn a call if it's taken them that long how can it be obvious ? My bad you’re right, too tired and so infrequent that happens but he was wel over lol. I personally think they still don't have Overtime right either. But I said it after the Falcons lost the Superbowl in OT, not getting to touch the ball and clearly the league is fine with that. It should simply be, both teams should have the same amount of possessions until one doesn't score as much as the other... a bit like college, but not from the 20. I had to stop playing American Football at 36 due to injury. I would love to still be playing now in my mid 40's if I could. Why would he stop? You think he plays for the records and HOF? like a few players, and from his response at the end of the game, he really enjoys playing football, and having to watch players get forced to give up due to injuries etc, i think he wants to play as long as he can and end it on his terms if possible. Every time I try to get into this sport there's blatant incidents of the referees ignoring clear fouls or giving nitpicking fouls against particular teams that have huge influences on the games. 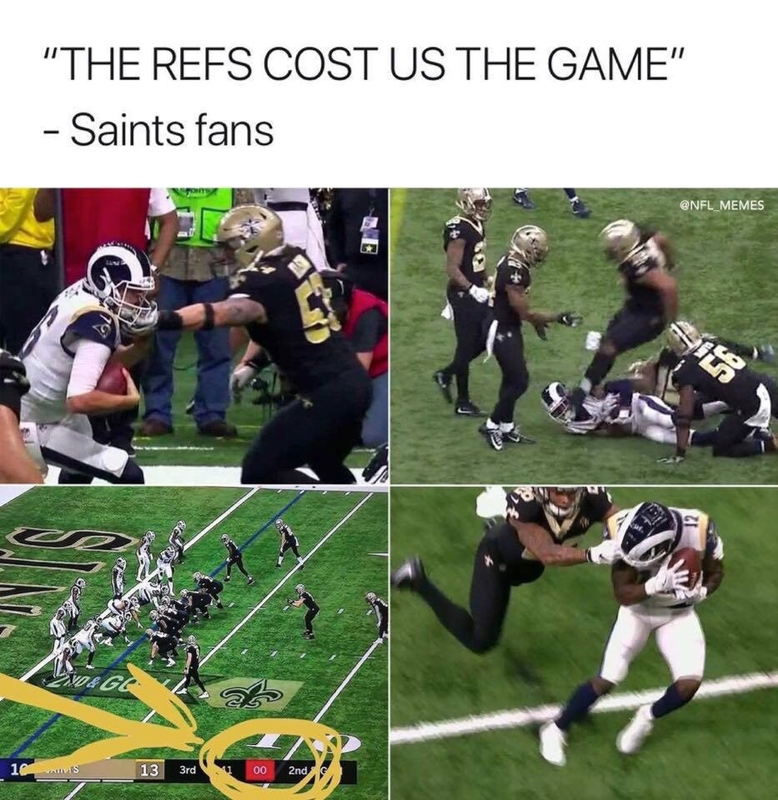 The foul on the Saints receiver that went ignored at the end of the fourth quarter with the game at 20-20 was astonishing. The Patriots have always had a good O-line though, so Brady doesn't generally take too many sacks. Plus he's not the type to break out of the pocket and risk getting hit that way. Personally I can see why he's still going, he clearly loves the sport. I was recently thinking about giving up regular football now that I'm 30, but when I've had any time off due to injury, being on holiday, etc I've realised how much I miss it. It's tough to step away from a sport when you've been playing it for most of your life.